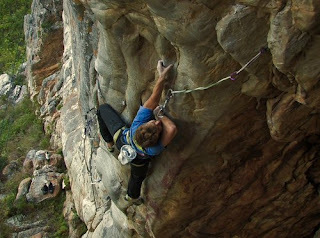 The long lost and forgotten mini trad crag of Crystal Dream Palace on the outskirts of Hermanus has lay devoid of any real activity ever since Clinton Martinengo developed the cliff at the turn of the millennium. 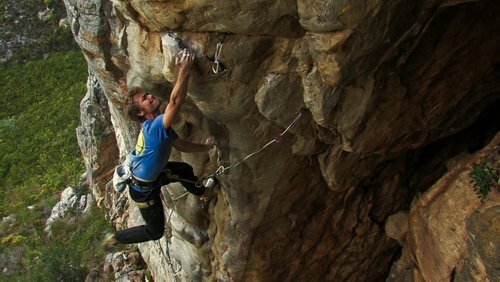 Joe Möhle decided to give the area some attention with his sights set on the crag's testpiece, "Be Quick or Be Dead" 31, which had no repeats since Clinton opened it in 1999. 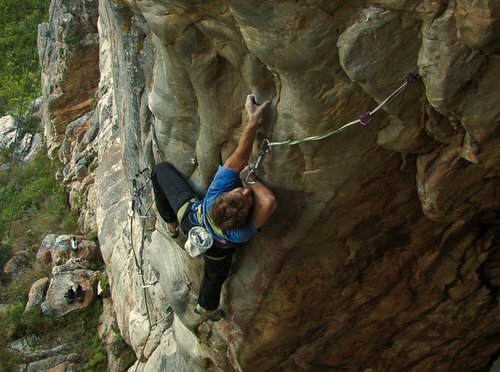 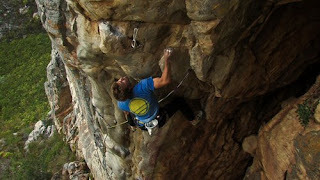 Joe made the drive out to Hermanus five times before success came on a rainy Saturday and he claimed the second ascent of what he claims is "the best power endurance route in the world...". 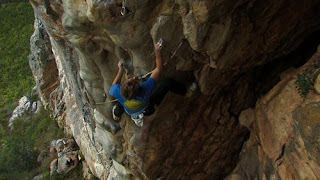 The ground fall potential and the tiny nature of the gear placements make placing pro on lead extremely dangerous and difficult, so Joe opted to climb it on pre-placed gear, in the same style as the first ascentionist. 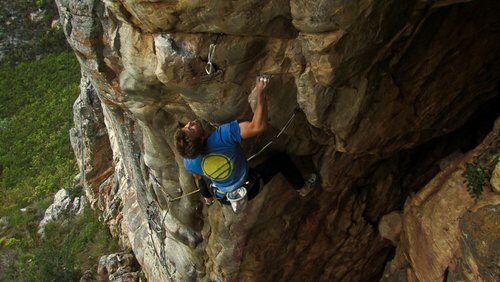 Thanks to Garrreth Bird for the screen grabs!